Beat the challenges to score points and escape, and the next player can try to beat a new house. 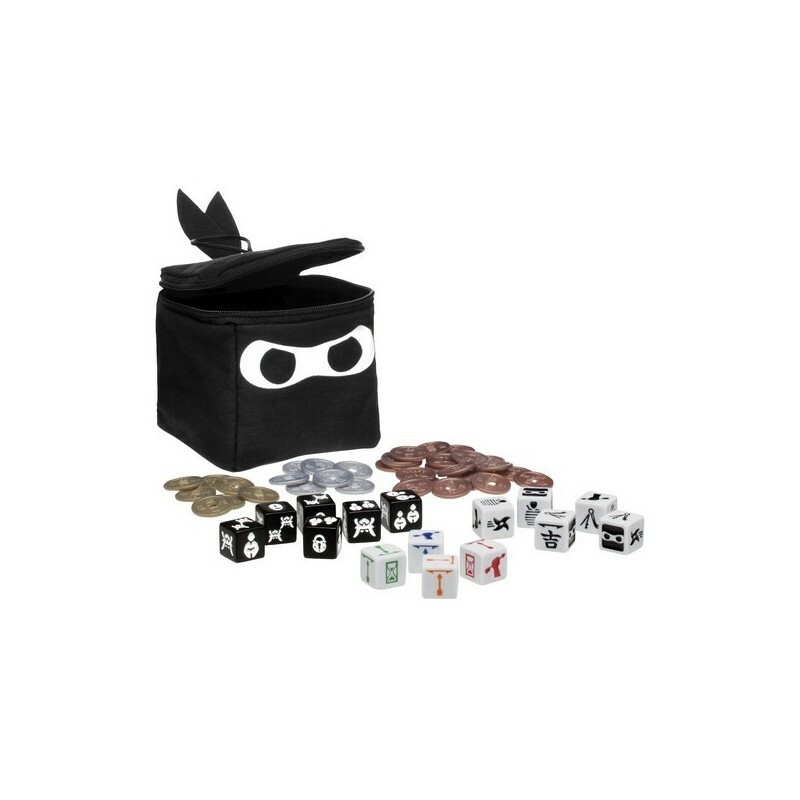 To play, each player rolls House dice to create unique combinations of challenges including Locked areas, Guards, and nosy Residents. Players roll their Skill dice to come up with three ways to beat these challenges - Stealth skills, Fighting skills, and Lock picking. 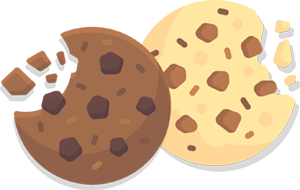 Players can also roll special Fortune faces that boost dice, but only if the dice they are boosting lie in specific positions on the table, a system that is new and unique to games of this kind! Beat the challenges to score points and escape, and the next player can try to beat a new house. 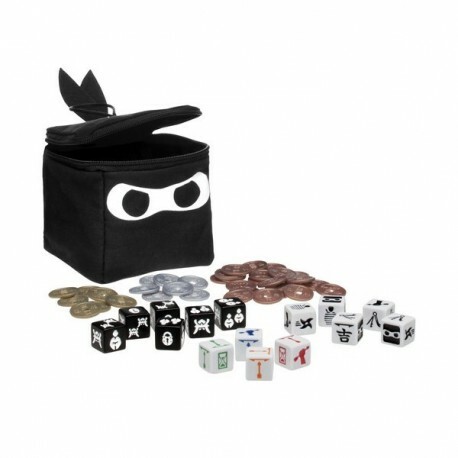 Fail to beat the house and the player can escape with what they've stolen, or remain and roll again - but each re-roll adds the threat of the other Ninja, who can now roll Threat dice, allowing them to shoot the active Ninja and each other to steal treasure! Constant interaction between all Ninja forces all players to be alert at all times. Play proceeds in three rounds of increasing difficulty with the highest scoring player winning.